Bobbi Brown Cosmetics, featuring Crystal Lip Gloss, Sheer Lip Color in Magenta and Crystal Pink, Aruba Illuminating Bronzing Powder, Face Blender Brush, and Face Touch Up Stick. I like makeup. I enjoy looking at it and playing with it. And some days makeup even lifts up my spirits and makes me feel a bit better. Does that ever happen to you? Things are going all wrong, or you feel sick, or the weather is horrible, and out comes the makeup and you just feel happier? 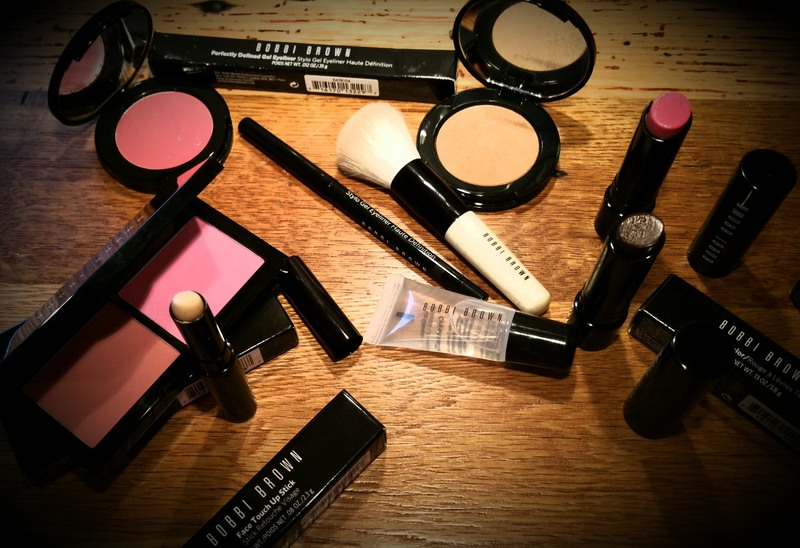 This post is about the Bobbi Brown makeup that I decided to play with today. 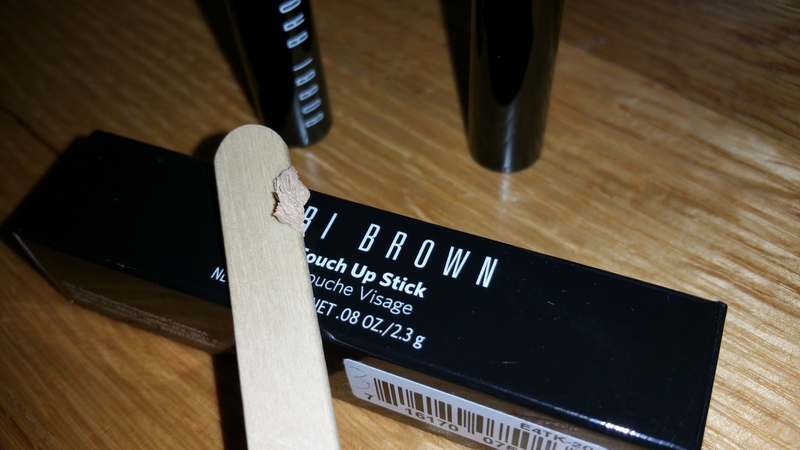 I started with Bobbi Brown Face Touch Up Stick – Cool Beige – 3.25 (.08 oz for $30) (a new product for me.). Although I don’t wear foundation as a habit, I like to use it in place of concealer sometimes. Once I tried this foundation I found that it provides enough coverage for me to use it as a concealer. 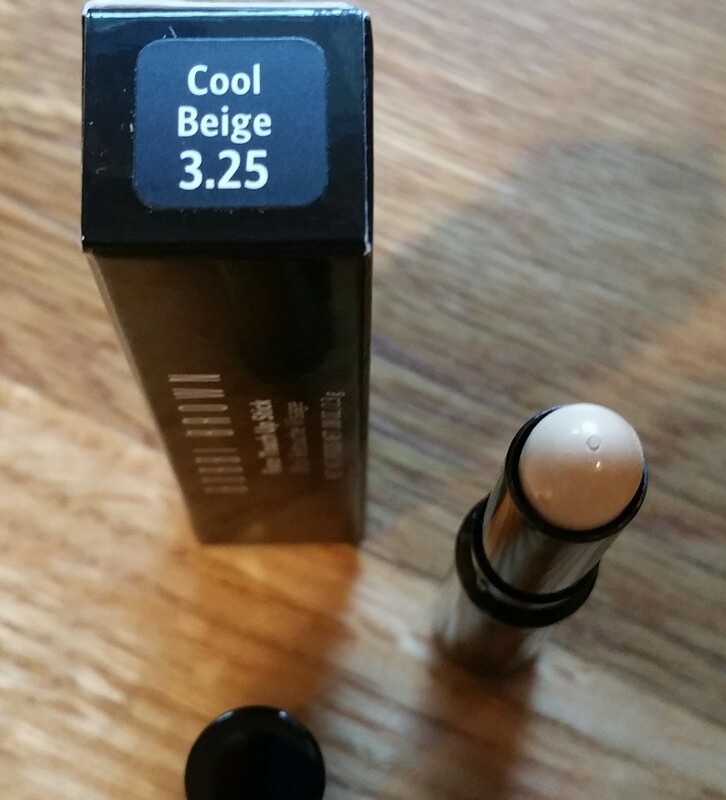 I chose well with shade Cool Beige – 3.25 (I bought it online), because it really blends well with my light-to-medium skin with pink/ blue undertones. Note that I use self-tanner, but my skin is still paler at my chin area or around the base of my nose, so there it needs a lighter shade of concealer. I am really impressed with the Face Touch Up Stick. I love the consistency and ease of use. You can draw right onto your face with it. I’ll probably end up carrying this in my purse and using it up. Next I applied Bobbi Brown Illuminating Bronzing Powder – Aruba – (.31 oz for $42). I have a beauty offer travel size of this and didn’t pick out this color, but it turned out to be a beautiful shade. 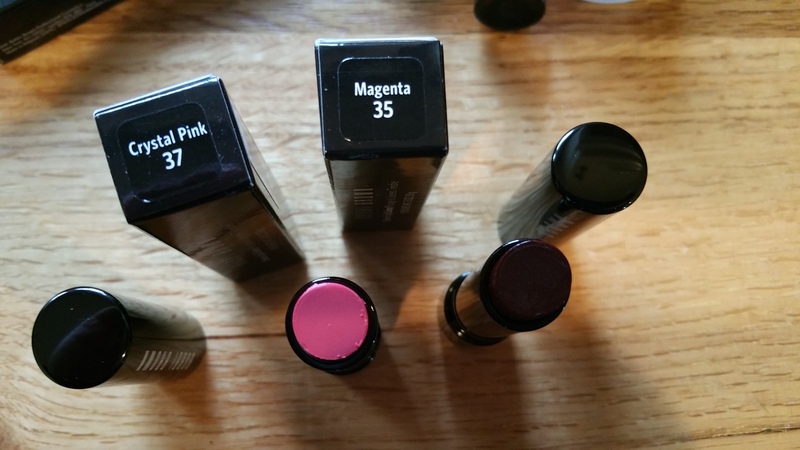 And then I tried two (new to me) Sheer Lip Colors in Crystal Pink – 37, and Magenta – 35. I believe Magenta is a limited edition color. 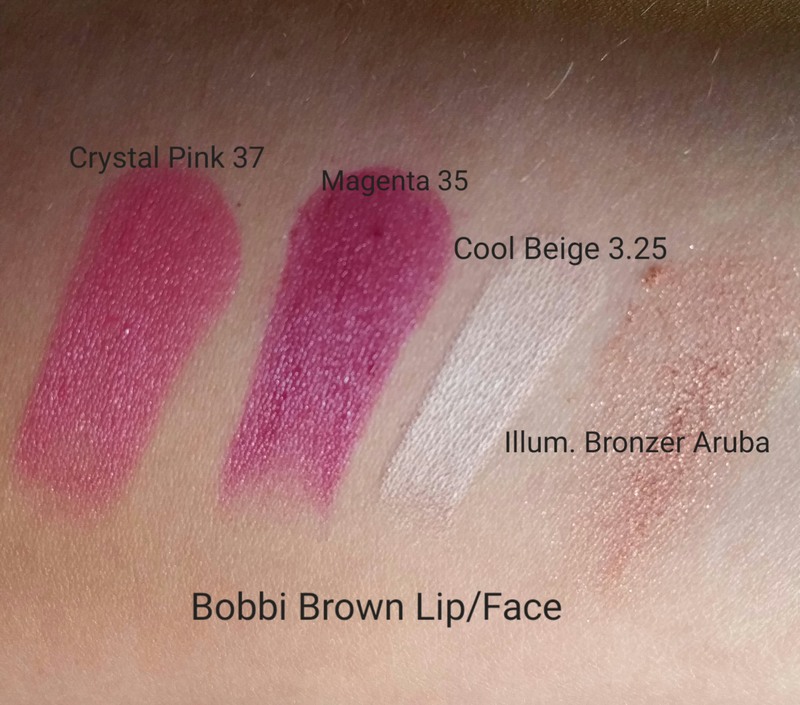 Swatches of Bobbi Brown Sheer Lip Colors in Magenta – 35 & Crystal Pink – 37, Face Touch Up Stick in Cool Beige – 3.25, and Illuminating Bronzing Powder – Aruba. After I made myself up I had a big day …. of playing with my boys at home. I didn’t have anywhere to go, but that wasn’t the point anyhow! Bobbi Brown Cosmetics, featuring Face Touch Up Stick, Crystal Lip Gloss, Sheer Lip Color in Magenta and Crystal Pink, Aruba Illuminating Bronzing Powder, Face Blender Brush, and Face Touch Up Stick.